SENOIA, Ga. (AP) — Andrew Lincoln will no longer evade the arc of a knife, a bullet or a bloody baseball bat wrapped with razor wire on the Georgia set where AMC’s “The Walking Dead” is filmed. 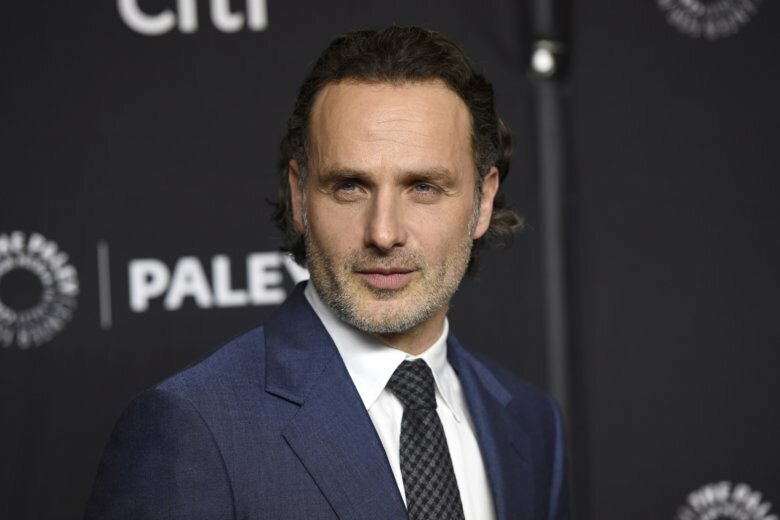 The show’s upcoming ninth season, which premieres Sunday night, will be the last for his character, sheriff’s Deputy Rick Grimes, and Lincoln has wrapped his last scene. Now he’s hoping to direct an episode of the show, so he’s “shadowing” one of the directors during filming near the small town of Senoia. His trademark humor finds its way into many of his answers to questions about his future. The drama sometimes follows the story lines of a comic book series that debuted in 2003, but also veers from that narrative to create new tales. It’s built around a cast of characters struggling to survive in a world that’s fallen into chaos and become infested with zombies they call “walkers.” The humans also break into factions and sometimes wage war with one another. As the show enters its final season with Lincoln’s character, he speaks lovingly of the “less-is-more” aspect of the upcoming season. Lincoln says “The Walking Dead” has always been an ensemble show that’s not dependent on any one character. Collier recalled when Lincoln’s character rode on horseback into a destroyed and deserted Atlanta and then waged war on the downtown streets. As Lincoln prepared to film his final episodes, he said he felt like he was watching a cruise ship slowly pulling away from him. Much of the show is filmed in Senoia, a small town 35 miles (56 kilometers) southwest of Atlanta. It has helped fuel the film industry in Georgia, which has boomed in the past decade. Lincoln lives in an Atlanta suburb, where the stories about him include one from a Halloween evening, where he ran into a foreign exchange student dressed in a zombie costume. He was wearing a mask so the boy, who was by himself, didn’t recognize him. The story has parallels to the show, where the characters often collect stragglers in forests or along country roads. That’s what Collier says will continue to drive the show after Lincoln’s character disappears: The story of a group of people trying to survive.